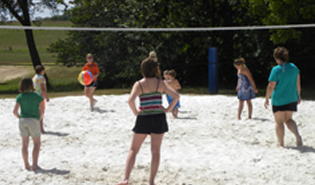 Open Memorial Day thru Labor Day Weekend 10am-8pm daily (unless otherwise noted). 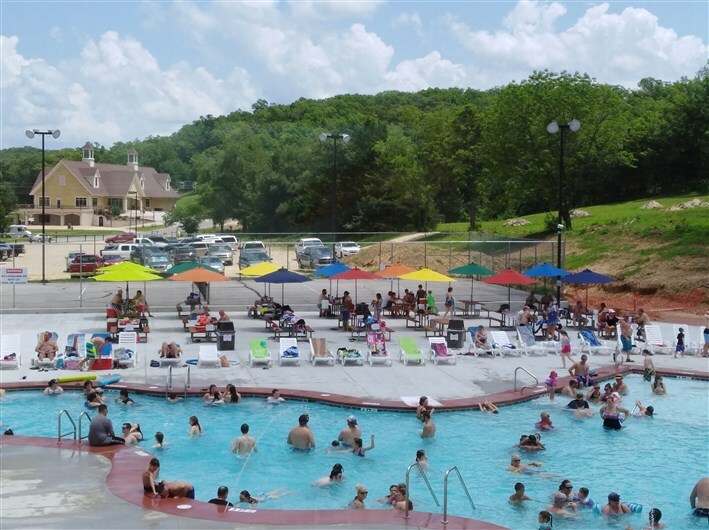 * Pool temporarily closes during times of severe weather for participant's safety. Everyone must exit the water as directed, no exceptions. Must be at least 13 years of age to use without adult supervision. Must be at least 16 yrs to use the jacuzzi. Those not potty trained must wear rubber pants or "little swimmers"
A detailed list of rules for both pool & jacuzzi will be posted by the outdoor pool. See our resort map for locations of our walking trails! The Jumping Pillow is located at the Aquatics Center. 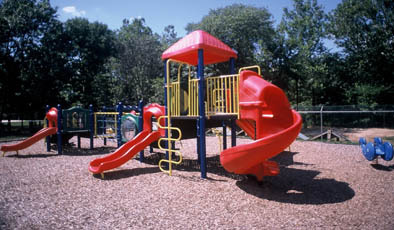 Children must be at least 13 years of age to use without adult supervision. 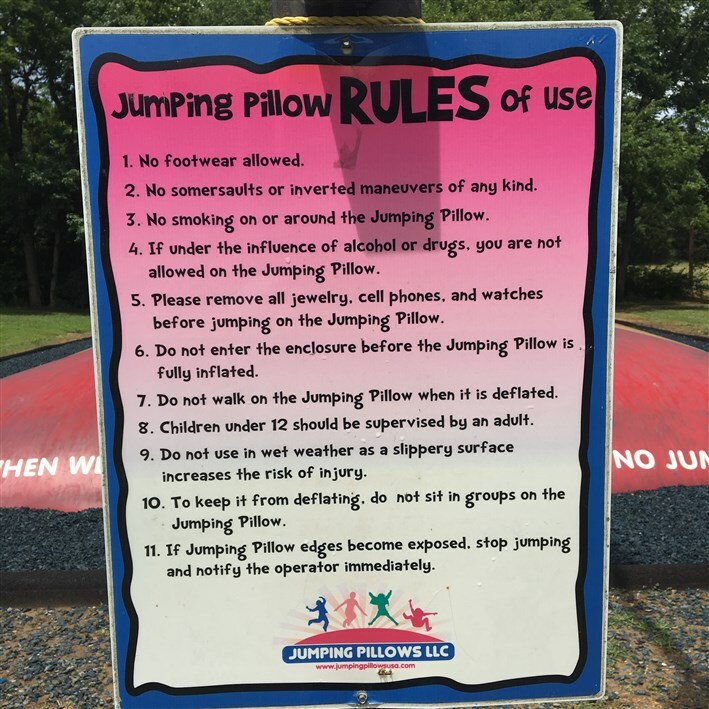 Please review posted rules for use before using the Jumping Pillow below. 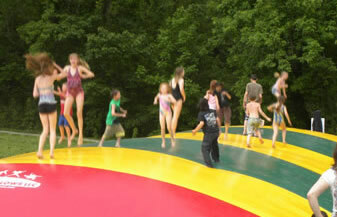 Effective 04/12/19 the Jumping Pillow is now open for the Season! 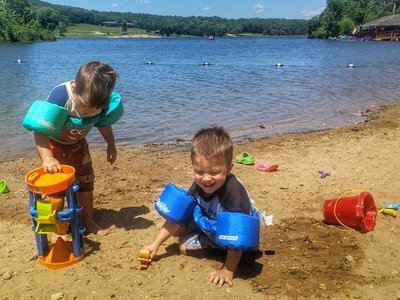 No life guards on duty, Lakes are closed to swimmers during inclement weather and from dusk to dawn. 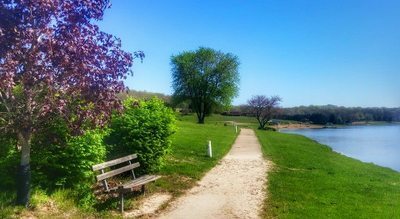 Picnic areas are available by Party Request.